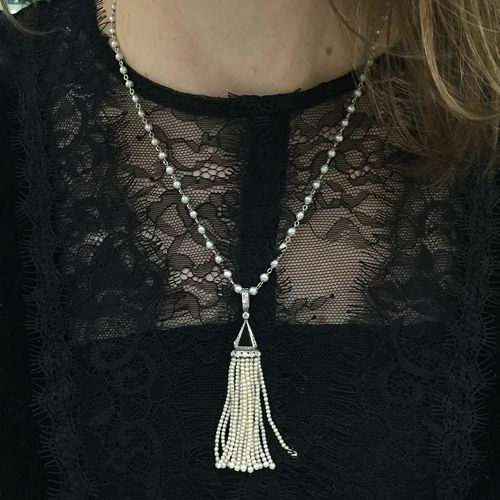 A beautiful Art Deco 18.75 inch (47.63cm) 14kt white gold necklace featuring 71 creamy white seed pearls, approx 2.7 - 3.0mm and a platinum pendant containing 4 triangle black onyx pieces (approx 9.5x5.5mm - 9.5x3.5mm); 48 single cut diamonds, est. 0.91ct (SI clarity & G-H colour) and 17 tassels of seed-pearls, approx. 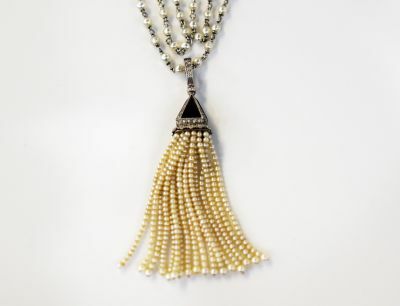 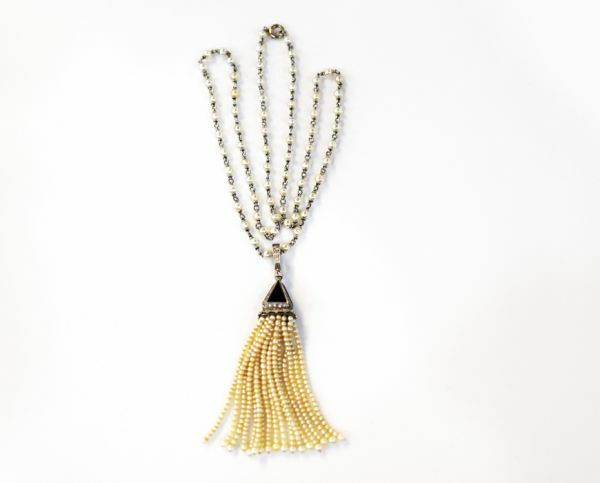 1.5 - 2.1mm and ranging from 27-30 pearls per tassel..